Guest Post- Darryl Marzyck- It ain't easy bein' green beans. Happy New Year, all! I want to share with you some nifty green beans and catfish dinners that were sent to me by Darryl Marzyck. They are for a production of 'August- Osage County' that he worked on. He was on a budget, and I think he came up with a pretty clever solution. 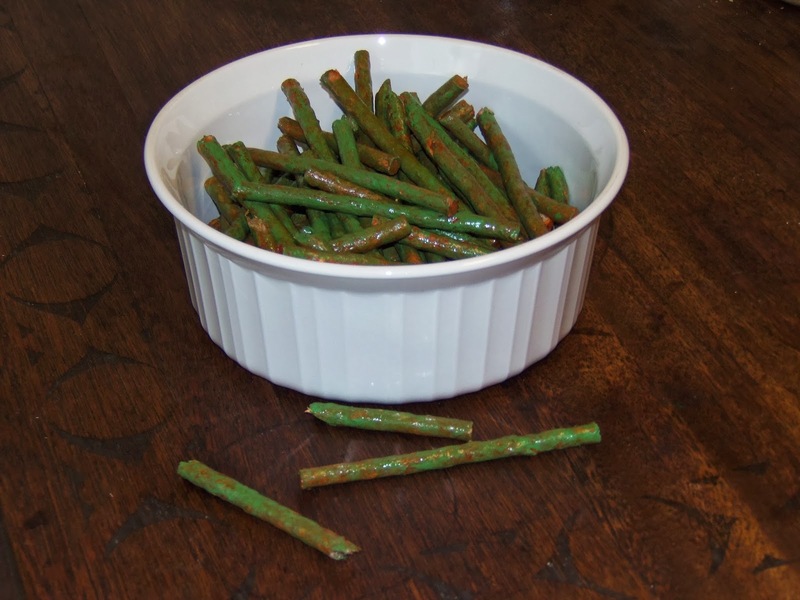 These green beans are made of rawhide chews, acrylic paint, and polyurethane. Pretty clever, I think. 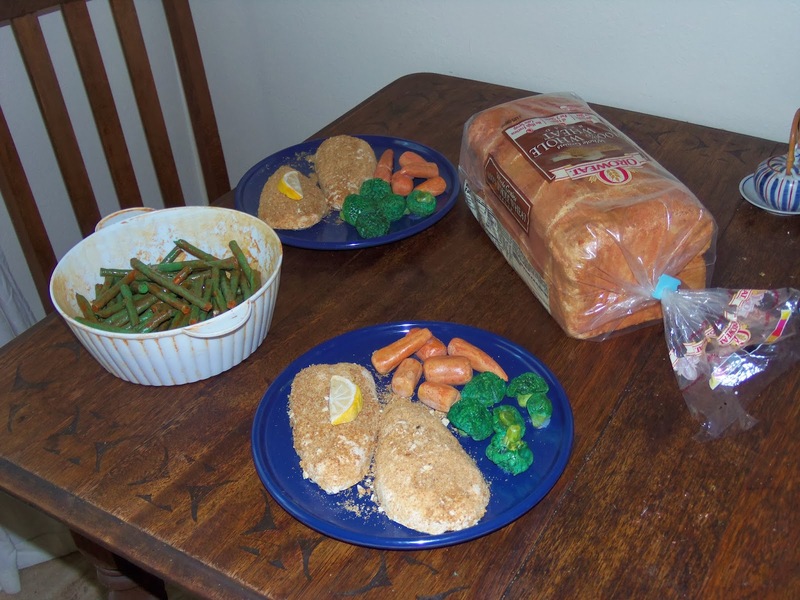 "The dinners came out really well considering that they were made from salt dough and rigid insulation. I worked acrylic paint into the salt dough for the carrots and the broccoli which helped when it came time for paint. I gave the tops of the veggies a dab of poly to make them look more appetizing. I was amazed at how difficult it was to make 'broccoli green' paint! Elmer's glue and real bread crumbs made the fish look great. I was careful to let some of the 'fish' show through. I also whipped up a loaf of bread with my left over rigid foam. It has managed to fool quite a few folks backstage. " I know how he feels about the broccoli- I can't tell you how many times I've tried to make a good tomato sauce color- only to be completely defeated. Anyway, good work, Darryl- I love to see what other propsters are cooking up!